Norma Jean Bedell, 91 Of Harrisonville, MO passed away on September 5, 2018. 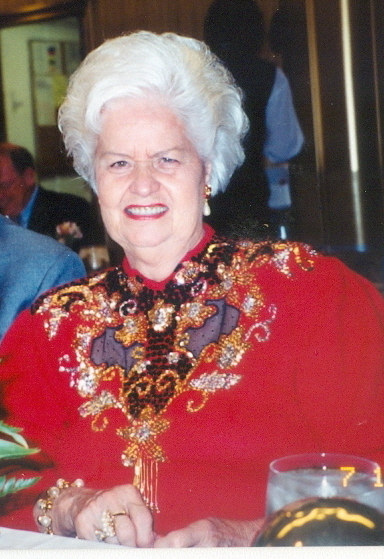 Norma was born on August 9, 1927 in Kansas City, MO, daughter of Joseph and Evelyn (Shaufler) Beck. She married Harry K Bedell on April 8, 1950 and he preceded her in death. Norma worked at American Greeting Card Company maintaining store displays. She enjoyed gardening especially planting flowers, loved horses, giving to the ASPCA, and wearing her collection of costume jewelry. She is survived by her son Dale Bedell and wife Bridget, 5 grandchildren and 8 great grandchildren. She was preceded in death by her parents, husband, and her daughter Georgia Lanning. Funeral services will be held on Tuesday, October 9, 2018 at 11:30 am, at the Park Lawn funeral home with visitation from 10:30 am until service time. Memorials are suggested to the Great Plains ASPCA.